Seth Bader and his wife, Vicki, moved to New Hampshire in 1992. When he decided he wanted out of the marriage, he started a campaign to ruin Vicki, by destroying her reputation, her self worth. His actions resulted in Vicki sinking into depression, attempting suicide and losing visitation with their sons. Seth proceeded to work on the boys to turn them against Vicki. When she began to pull her life together and ended up getting unsupervised visitation with their youngest son, he decided to kill her, using their oldest son as his accomplice. In keeping with the bizarre label, this crime could also have been confusing with all the people that eventually became involved it was a mess. It is a tribute to Kevin Flynn that he was able to keep the storylines straight. There were a couple of times where, this person said this, then later said this. I don’t know how he kept it straight, in the end you understood (as much as anyone could) what had happened and who was involved. You can also feel the frustration that not everyone involved got what they deserved. Another fascinating true crime account from someone who someday may be as dear to me as M. William Phelps. 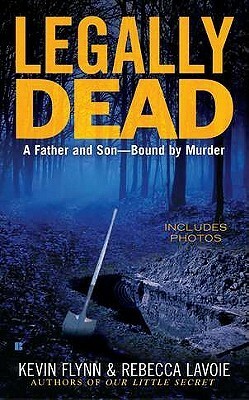 Posted by Belleza on January 11, 2013 in 2012, Non-Fiction, True Crime and tagged Divorce, Dysfunctional family, eBooks, Kevin Flynn, Library Book, Liked it ♥♡, Murder, Rebecca Lavoie, Recommended to read.